U.S. presidential elections are a marathon, not a sprint, and this race has been exceptionally grueling—both for the candidates and the public at large. But more concerned than the average U.S. citizen are small business owners, who have responded to the uncertainty by delaying new hires, forgoing new equipment orders, and avoiding all but the most essential investments. We’ll tell you why confidence is slipping and what small businesses can do to buck the trend. Every presidential election captures the nation’s attention, but this year’s race seems to have no precedent. 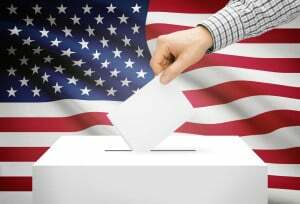 Whereas most Americans tune into the race after the primaries are over and the Republicans and Democrats have chosen their respective nominees, both parties saw unconventional candidates challenge the status quo during the primaries and capture the attention—and votes—of millions. Now that the primaries are over and Donald Trump and Hillary Clinton are set to face off in the general election, the future and the direction we’re heading remains as unclear as ever. According to a survey conducted by the Wall Street Journal and Vistage Worldwide Inc, one-third of business owners report that uncertainty over the coming election is negatively impacting their business. Though small business owners are responding in different ways, the overarching theme is this: they have opportunities to grow their businesses, but they’re hesitant to spend the money. It’s not just the election causing concerns—there’s also global concerns, like the recent exit of the U.K. from the European Union, which threw global markets into a brief tailspin and the tenuous state of the Chinese economy. Closer to home, there’s also uncertainty over the timing and impact of future interest rate hikes. Given the picture we’ve just painted, it’s no surprise that small-business confidence fell to its lowest level since November of 2012 this month. Even industries that consider themselves ‘immune’ to political drama, like real estate, construction and development, are seeing activity dwindle. In the end, small businesses off all types face higher cost of capital than their larger counterparts, and that’s why they bear the lion’s share of the burden when uncertainty prevails and consumers reduce spending. Luckily, there are several tools that small businesses can use to seize opportunities for growth—regardless of the prevailing political and economic climate. For qualified clients, Capstone provides purchase order factoring, single invoice factoring, and full-contract factoring for work performed under contract with credit-worthy accounts. We have highly experienced professionals on staff to facilitate the purchase of work in progress and progress billing-related accounts receivable. Please visit our homepage or contact us directly for more information.